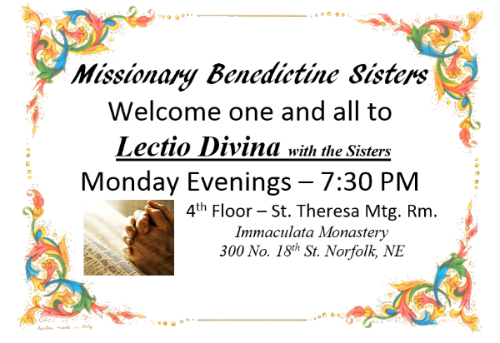 Description: Missionary Benedictine Sisters welcome one and all to Lectio Divina with the Sisters. 4th Floor – St. Theresa Mtg. Rm.